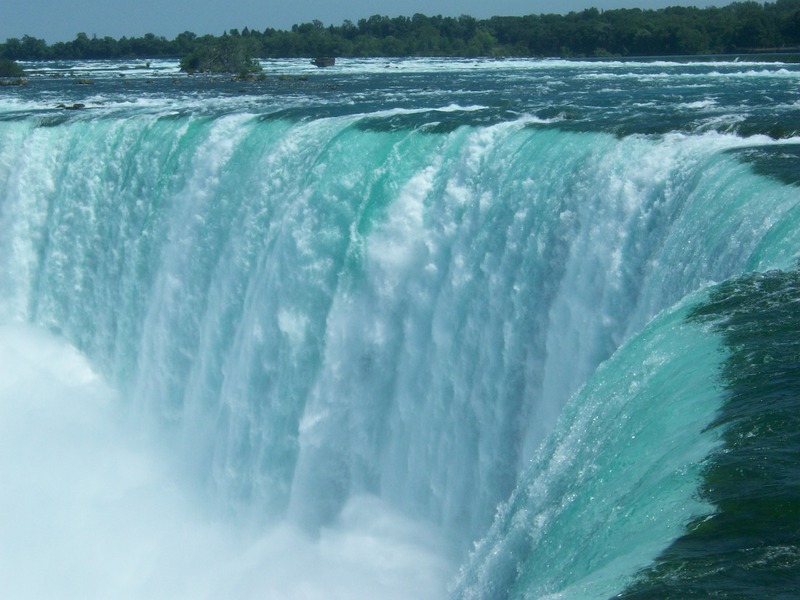 Growing up near Niagara Falls, my family visited this wondrous natural miracle during my childhood. 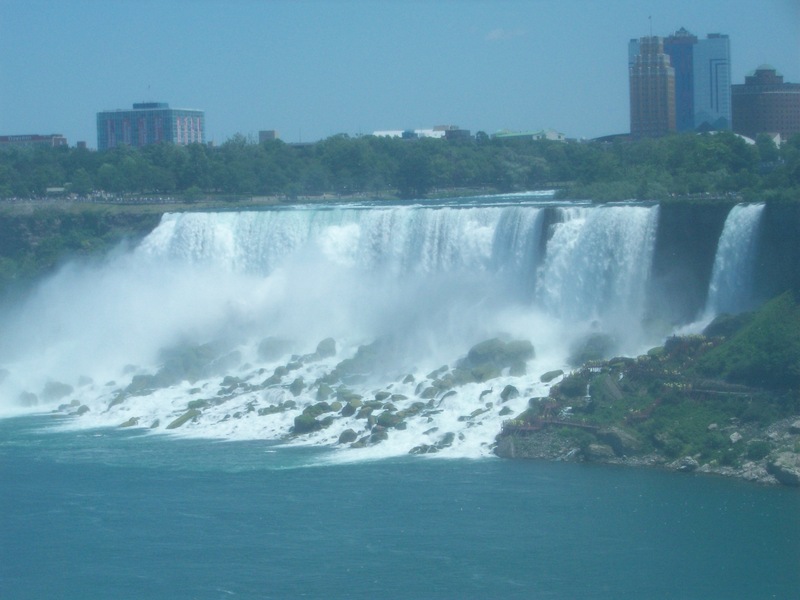 As a college student at the State University of New York at Buffalo (UB), friends and I would also take trips to the Falls to view it’s amazing might and majesty, particularly at night when it was illuminated with spotlights of every color. Into adulthood, I continued to visit the Falls for an afternoon here and there, being both exhilarated by the thunderous roar of the water crashing down at it’s base, as well as by the peaceful serenity of the beautiful, rushing waters. Visiting the Falls in an afternoon to enjoy this natural beauty, it was typically peaceful and not busy, so I could enjoy a picnic lunch or snack there. 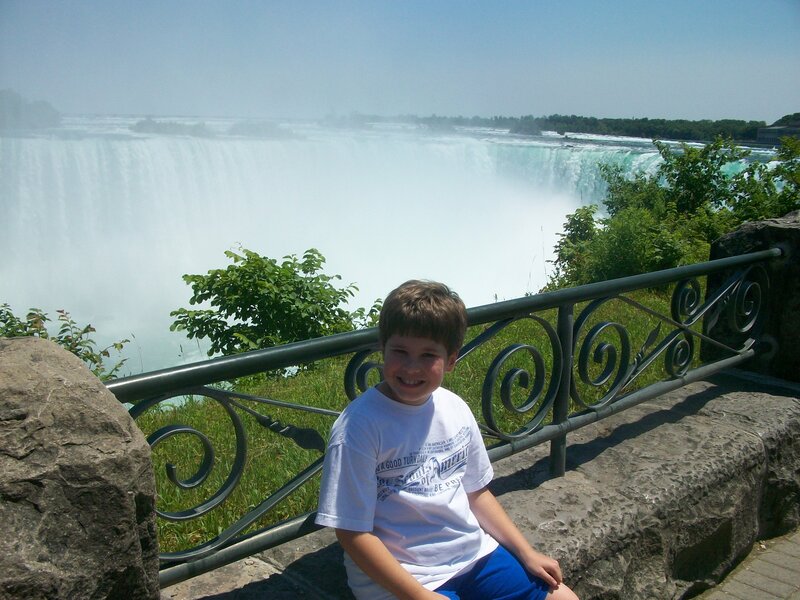 It had long been a desire to take my young son to visit and enjoy the might and majesty of the amazing and miraculous Niagara Falls. 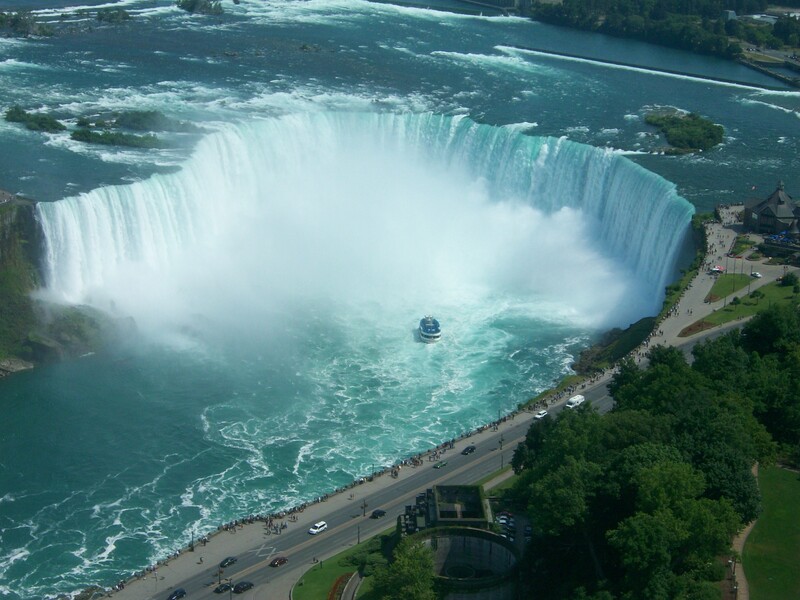 Taking that opportunity in June 2012, we spent an afternoon in Canada and viewed the Falls – the American Falls, the Bridal Veil Falls, and the Horseshoe Falls – both from the ground as well as from atop the Skylon Tower. 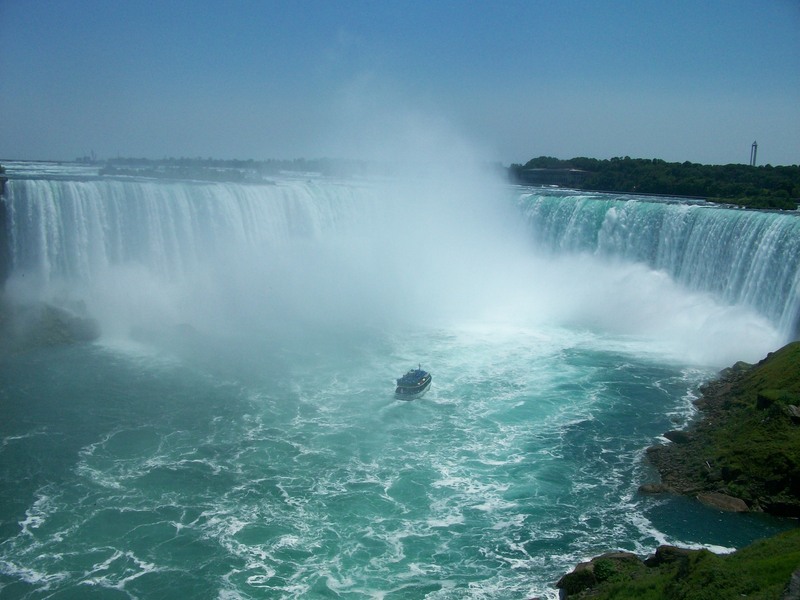 Both the American Falls and Bridal Veil Falls are located in Niagara Falls, New York, while the Horseshoe Falls are in Niagara Falls, Canada. Waiting until I was an adult in order to sail on a Maid of the Mist boat, the experience of sailing as close to the Horseshoe Falls as possible was invigorating and thrilling. Only once in my life have I sailed on the Maid of the Mist. I would have done so again on this trip, though my son did not feel comfortable with the thought of being so close to the thunderous Falls. And, I don’t blame him – after all, I was an adult in my mid-20’s before I did so. Rather than sailing on the Maid of the Mist, my son and I viewed the Falls from the enormous height of the observation deck on the Skylon Tower, feeling the strong winds into which we had to force our weight in order to walk. The view from such a height caused the Falls to appear much smaller and somewhat less significant than they actually are. Still, the view of the Falls from atop the Skylon Tower was breath-taking as my son and I enjoyed looking at them – as well as the surrounding area that we could see for miles (I mean ‘kilometers’) around. That was just fine for us. We had a lovely visit, and my son can now say that he is an international traveler, having used his passport for the first time on this trip to Niagara Falls, Canada! The direct link for this blog post is at http://wp.me/p25c1A-aJ.